Well into the previous century Sweden was largely a peasant society with folk music an integral part of daily life. There were work songs, narrative ballads and, obviously, music for dancing. Over the centuries a not always easy coexistence between religion and folk culture developed, with hymns being adapted to a folkmusic aesthetic while popular traditions were given a Christian veneer. An example of the latter is the rich store of ‘Staffan ballads’, springing from a pre-Christian horse cult but given a new slant as its focus shifted to St. Stephen – the first Christian martyr. Gunnar Idenstam and S:t Jacobs Chamber Choir have performed their Folkjul concerts more or less every year since 2002. The concept stem from a rich interplay between ‘folk culture’ and ‘high culture’ and in Idenstam’s arrangements a newly composed halling or polska entwines itself round the old Christmas melodies. 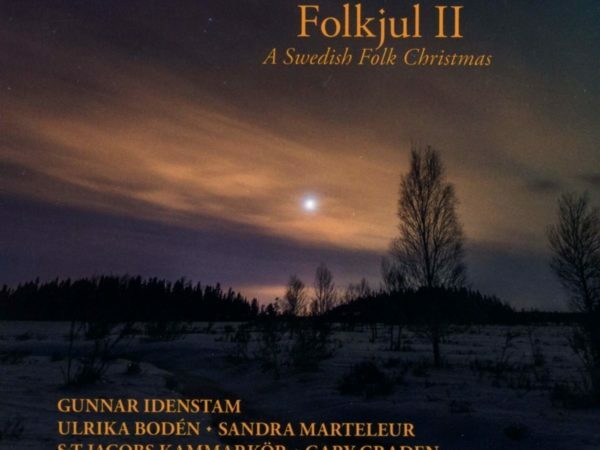 The first Folkjul album was released in 2007 – this time the choir and Idenstam are joined by violinist Sandra Marteleur and Ulrika Bodén, one of Sweden’s most well-established folk singers. Individuality is one word you could append to the Swede Gunnar Idenstam, whose organ improvisations occupy their own universe – part hard apocalyptic rock, part elfin folklore, part nave-shaking French Symphony. Folkjul II is a follow-up to 2007’s ’Folkjul’ (’Folk Christmas’) but if you haven’t come across Idenstam’s exotic art before, I’d heartily recommend this ’Songs for Jukkasjärvi’ (BIS). 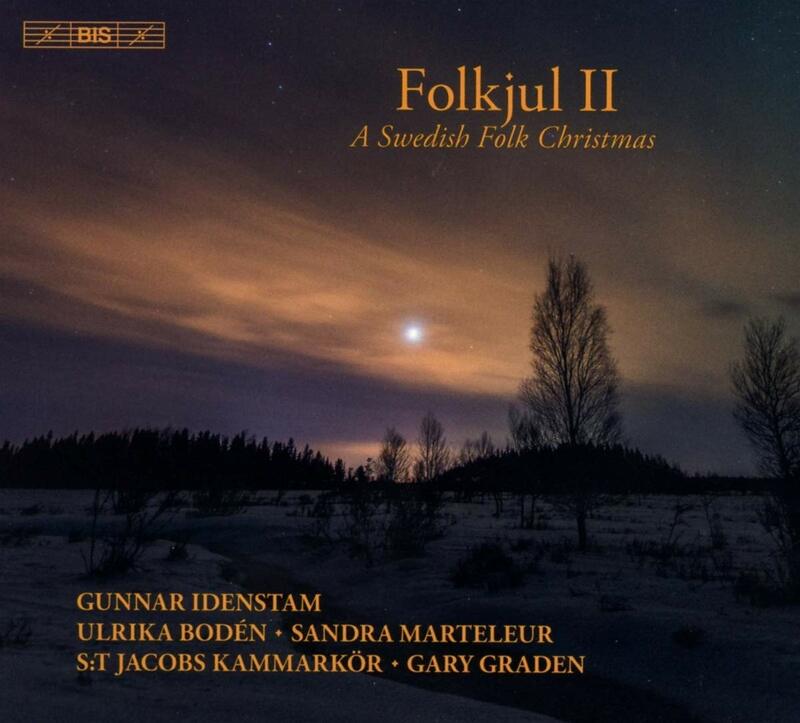 ’Folkjul II’ trades that album’s herding yoiks for chorales and carols, similarly embedded in the Idenstam sound of folk flutes and fiddles, electronics and voices, all of which are egged on to spine-tingling climaxes by Idenstam’s capering, roaring organ (an acquired taste, I can hear som saying). Sandra Marteleur’s fiddle ariosos have a strange wonder, Ulrika Bodén’s vocal solos are mesmeric, Idenstam’s touch on the organ is as funky as it is majestic, Gary Graden’s St Jacobs Chamber Choir sounds full-bodied and bright. There are special moments and ground-moving modulations around every corner. But it doesn’t dilute the experience, nor the deep sense of mystery, that you often know from the start of many a piece – as in the pregnant organ rumblings that open Frän (sic) himlens höjd – that an almighty climax is in the pipeline. It is the journey to Christmas encapsulated. Christmas hymns and chorales. St Jacobs Chamber Choir et.al. BIS 2334. The booklet of this beautifully-presented disc opens by explaining the “not always easy coexistence” between the folk culture prelevant in Sweden over the past centuries and “high culture”, often of a religious nature. This disc attempts to bridge this gap with respect to Christmas music. The disc opens traditionally with choir (the most admirable St Jacobs Kammarkor) and organ (played by Gunnar Idenstam) performing the old Basque carol Gabriel’s Message, used by the choir in their performances of the Folkjul repertoire as a processional hymn. It immediately sets the bar high for quality of performances. The second track aptly demonstrates the aim of the disc as set out in the booklet notes. This combines a traditional hymn – All Hail to Three, O Blessed Morn – sung by choir and interwoven with folk melodies played (very well indeed – none of the scratchy tone that sometimes can come with the folk territory) by folk violinist Sandra Marteleur, and with one verse sung by folk singer Ulrika Boden. You feel it shouldn’t work, but it does, and it is infectiously joyful. After In dulci jubilo we have a Staffan ballad – with its origins in a pre-Christian horse culture which then converted – as so many pagan elements were subsumed by Christianity – into worship of St Stephen, the first Christian martyr and, neatly, claimed by legend to be King Herod’s stable boy. Ulrika Boden also appears as a flautist playing the fipple flute in, for example, Polska by Viktor Gabrielsson, which is perhaps the most saccharine work on the disc. As well as arrangements of traditional works, we also have a few modern compositions, such as A Gangar with your Coffee by violinist Sandra Marteuleur, written as a wedding gift, or A Polska for Christmas, another work written as a gift, this time by Gunnar Idenstam. A Star Shines bright is a traditional folk song which is full of atmosphere, and in which the organ works surprisingly well as a background folk instrument; while another Staffan ballad is combined with the Musette from The Notebook of Anna Magdalena Bach. In A Star Passed Across the Sky Idenstam has taken a mediaeval carol, combined it with a folk-like tune, and then at the end converts it into a Swedish polska, which, again, works very well indeed. This is followed by The Blessed Day – a traditional performance of a Scandinavian song to a tune from the far north of Sweden. The disc concludes with the well-known Lutheran Christmas hymn From Heaven Above, which Idenstam combines with a new folk melody; this builds up to the most tremendous climax at the end, and when Ulrika Boden joins the choir, thundering organ and nimbly weaving violin with kulning, the emotional impact is almost overwhelming. In essence, this is a brilliant disc. All the arrangements – made by Gunnar Idenstam – work really well. Part of the reason for this may be the judicious use of a single instrument – the violin – representing the instrumental folk element and weaving around the choir; possibly it is also because the violin line is very rhythmically defined and adds something harmonically too; and it is also because the choir sing so mellifluously. The ensemble of the St Jacob’s Kammarkor is spectacularly good for a church choir. The organ playing impresses as well – Idenstam is always there, exactly on time, whether accompanying choir or dancing with the violin. The two folk musicians are on top form too, making this an exceptional, truly unusual and thoroughly enjoyable disc for Christmas. entsprugen becomes Det är en ros utsprungen, and Stille Nacht is Stille natt, for example, which is pretty easy for even those devoid of any Scandinavian languages to decipher. Familiar or otherwise, it adds up to a very enjoyably different Christmas offering. Göran Forsling appreciated all but the final setting of Veni, veni Emanuel, concluding in kulning style on the final track – review. Yes, that is a bit much – a lot much, in fact, so I recommend ditching that one track. 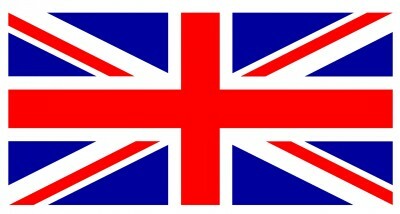 his time with just one voice, not two, and less obtrusively. The metaphysically suggestive sonorities of nine of these 17 selections arise from the 28 dynamics-spanning voices of Stockholm’s S:t Jacobs Kammarkör and Gunnar Idenstam’s rumbling Allen Q350 digital organ. The metaphysicality of the changes of pace, whether sprightly or hushed, owes a good deal to the lithe expressiveness of Ulrika Boden’s voice and Sandra Marteleur’s violin. 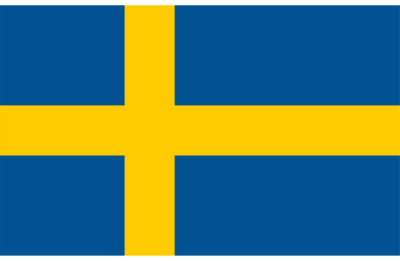 “In dulci jubilo” provides the melody most likely to be recognized by non-Swedes. The full-ensemble rendering of Martin Luther’s “Från himlens höjd” will leave even the garrulous speechless. Folkjul II: A Swedish Folk Christmas (BIS) Here’s another fine-sounding high-resolution recording with unusual fare, at least for North Americans. Gunnar Idenstam and the St. Jacobs Chamber Choir (St. Jacobs Kammarkör) have performed Folkjul concerts more or less each year since 2002. Reflecting the sometimes uneasy merger of Swedish peasant folk culture and Christianity, the concerts mix old melodies with others newly composed. I love the juxtaposition of light folk instruments with the organ of Eric Ericsonhallen in Stockholm. Less comforting is speculation about what die-hard Christians did to peasants who refused to sign onto the program. But you won’t hear any of that amongst these lovely selections. Kansanomaisuus on kautta aikain ollut joulumusiikin ominaispiirre, mutta varsinaisen nykykansanmusiikin ja joulumusiikin yhdistäminen on tullut muotiin vasta hiljattain. Eräs pioneeri on Tukholman Pyhän Jaakobin kirkon kamarikuoro, joka jo kymmenen vuotta sitten julkaisi levyn Folkjul. Kuoroperinteen ja urkujen maustaminen etnoelementeillä oli menestys, ja tänä jouluna BIS on julkaissut levylle odotetun jatko-osan. Pyhän Jaakobin kirkossa on erinomainen, puoliammattimainen kamarikuoro, mutta primus motorina konseptissa, sovituksissa ja esityksissä on Gunnar Idenstam, joka on paitsi konserttiurkuri myös kansanmuusikko. Sovituksissa Idenstam ei yritä yhdistää taidemusiikkia kansanmusiikkiin, vaan pitää elementit kunnioittavasti erillään, niin että kaikki saavat toimia vahvuuksillaan ja urkusoinnin turvallisessa syleilyssä syntyy tyylien kontrapunkti. 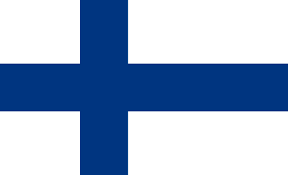 Sitä paitsi Idenstam soittaa urkuja hämmentävän mainiolla svengillä. Kansanmuusikoita on vaihdettu sitten viime levyn, mutta viulisti Sandra Marteleur ja laulaja Ulrika Bodén maustavat uutuuden aivan samoilla etnomausteilla. Molemmilla on juuret ruotsalaisessa kansanmusiikissa, mutta kokemusta myös taidemusiikkipuolelta. Kansanmuusikoiden kevyt ja pirteä tulkintaote saattaa vähitellen ahdistaa Suomi-joulun ystävää, mutta toisaalta levyn kimmeltävä yleissointi vetää vastustamattomasti puoleensa, vaikkei kaikkia perinneviisuja tuntisikaan. Eine der schönsten Weihnachts-CDs dieses Jahres aber kommt aus Schweden: „Folkjul II“ (BIS/Klassik Center Kassel). Der St. Jacobs Kammarkör aus Stockholm vereint unter der Leitung von Gary Garden mit Gunnar Idenstam an der Orgel, Sandra Marteleur an der ländlichen Spielmannsgeige und Ulrika Bodén an der Blockflöte alle möglichen Aspekte des Festes. Es sind die alten Lieder der Verkündigung, und es ist die Stimmung friedlicher Einkehr; es ist das musikalische Ornat der lutherischen Hochkirche (wenngleich in schwedischem Gewand), und es ist das Ländliche der Bauern und Hirten, wenn aus der Musette, wie sie Kinder aus dem „Notenbüchlein für Anna Magdalena Bach“ kennen, ein derb gefiedeltes Stalltanzbodenständchen wird. Da feiern auch Ochs und Esel mit. Und mit denen muss man sich gut stellen. Denn das gerade erschienene Buch „Rauhnächte. Die schönsten Rituale“ von Nadine Stegelmeier (Camino Verlag Stuttgart) verrät, dass einem alten Aberglauben nach in der Christnacht die Tiere zu sprechen anfangen: „Sie unterhalten sich, wie sie das Jahr über behandelt wurden, oder verkünden dem heimlichen Lauscher seinen Todestag.“ Vielleicht wird deshalb in Finnland der Heilige Abend begangen wie hierzulande Allerheiligen oder der Totensonntag: Man stellt Lichter auf die Gräber seiner Lieben. Ausgerechnet solche Grablichter zieren das Titelbild der CD „Un niño nos es nacido“. Auch das nämlich ist Weihnachten: Es macht die Grenze durchlässig zwischen Mensch und Tier wie zwischen Tod und Leben. Julen är tiden för återanvändning, av allt från sånger och allsköns traditioner till recept på skinkspadsglögg. Så jag kan utan fruktan återanvända min egen standardönskan: Bär in en folkmusikspetsad kör och helgen är räddad. En pålitlig räddningsnisse är Mr Folkjul, organisten och arrangören Gunnar Idenstam. Han i sin tur återanvänder S:t Jakobs kammarkör och dess dirigent Gary Graden. Nya under granen är nu sångerskan och flöjtisten Ulrika Bodén och violinisten Sandra Marteleur. Polskor och hallingar blandas med ”In dulci jubilo” och ”Var hälsad, sköna morgonstund”. Kyrkorgeln, elitkören, den elastiska fiolen och Ulrika Bodéns klara röst skapar variation och dynamik albumet igenom, genom att bilda olika konstellationer. Resultatet är nyanserat, musikantiskt, omväxlande kraftfullt och romantiskt och genuint juligt. Här finns också flera Staffansvisor. I ”Tiggarvisa från Malung” hamrar kören in ”Staffan var en stalledräng” så ofta och intensivt att ingen med självaktning längre kan hävda att han skulle ha varit en revisorssuppleant. 2007 kom den första Folkjul, vars idé är att sammanföra kyrkliga jultraditioner och körsång med folksång och fiolspel. Då var det Sofia Karlsson och Emma Härdelin som stod för folksången och Lisa Rydberg för fiolen, här är det ypperliga Ulrika Bodén som solosjunger och lika ypperliga Sandra Marteleur på fiol tillsammans med organisten Gunnar Idenstam och S:t Jacobs kammarkör under ledning av Gary Graden. Repertoaren skiftar friskt mellan uppstudsiga Staffansvisor, gudstindrande julhymner och högst vardagliga polskor. Själv fastnar jag vid de trad-folkligaste låtarna, som en svängig Staffan-halling, men överlag en mycket fin inspelning med fruktsamma musikaliska möten.